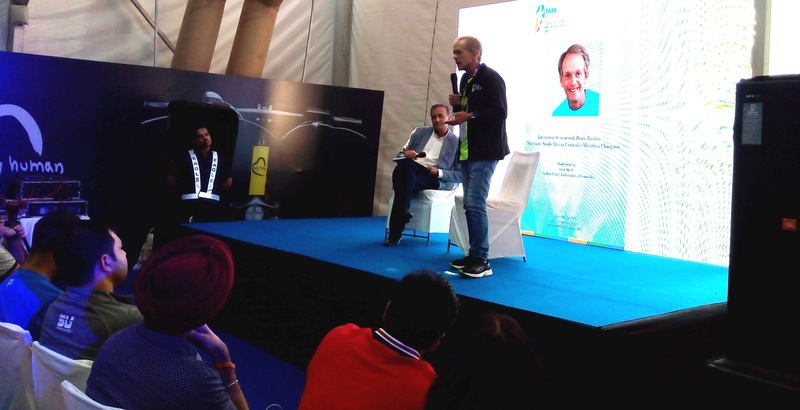 At the expo preceding 2019 TMM, you spoke of how you got into running. Could you revisit that narrative for this blog? My running is a combination of a few factors. As a young child I was always a good runner and not such a good ball sport player. I was passionate about cricket but useless at it and quite passionate about rugby but too small for it, rugby is for big guys. But whenever we ran I ran well and the longer the distance, the better I did. In my final year at school, I won the cross country. My school was one of artists, politicians and creative people. It wasn’t sporty. So it gave no indication that you could be a world beater. I went to university at Johannesburg and for two years I did no exercise whatsoever. I was aware that I was unfit. Then a couple of things happened. We had television in South Africa only from 1976. Until then the nationalist government wouldn’t allow us television because they didn’t want us exposed to the rest of the world where we might see races mingling and stuff like that. Eventually they couldn’t hold back the flood gates and we got television in 1976. Television showed us the Comrades Marathon. Now it is 12 hours of live broadcast, back then it wasn’t live, it was telecast a couple of weeks later. That was inspiring to me because it showed some ordinary people finishing. The race was quite small then; probably a thousand runners. Now it is 25,000. Those telecasts inspired me to run. It is also important to know that Comrades is part of the South African sporting fabric. Everybody knows about it. The final nudge was – in June 1976, the students in Sowetto rioted against being taught lessons in Afrikaans, which in their opinion, was the language of the oppressor. They wished to be taught in their home language – Zulu or Khosa – or English, but not Afrikaans. I was a university student and we decided to march in solidarity. We got set upon by the police. I got disillusioned. I was trying to find something to do. All these things came around at the same time and I decided – I am running the Comrades Marathon. Plus one of my fellow students at the university – he is still a friend – had run the Comrades. He showed me the medals and stuff. I started from there. The Comrades happens in the beginning of June or end of May every year. My first run was ten minutes around my university rugby field. I ran loops and I did it at night because I didn’t want anyone to see. But I progressed quickly. Within a few days, I was running for half hour. Then I ventured on to the road and started going further and further. I trained on my own for six months. Then at the beginning of the next academic year, I joined the university athletic club. I was terrified because I thought these are all real athletes. However, I found that I was one of the best. Those days and even now to some extent, the road running program in South Africa is geared towards Comrades marathon. If you are a complete beginner, everybody would be busy doing their first half marathon. Right now (we met in mid-January), they would be doing their 32k runs. Next month, they would do their first full marathon. The following month, they would start doing their first ultras. End of May, they run Comrades. I was taken through that whole build-up. I completed my first marathon in 2 hours 45 minutes and my first ultra was a 56k, which I did in 3:35. At my first Comrades, I placed 43rd out of perhaps 1200 runners. 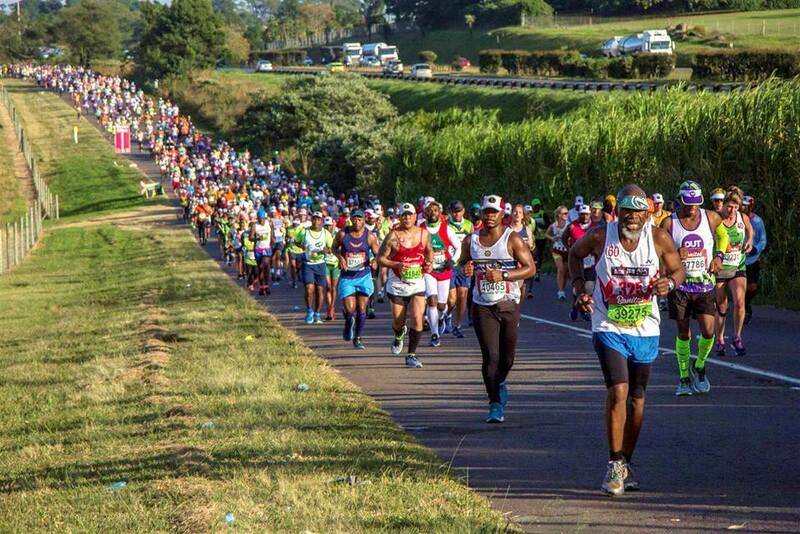 This photo was downloaded from the Facebook page of Comrades Marathon and is being used here for representation purpose. No copyright infringement intended. Many cities worldwide now have their own marathons. 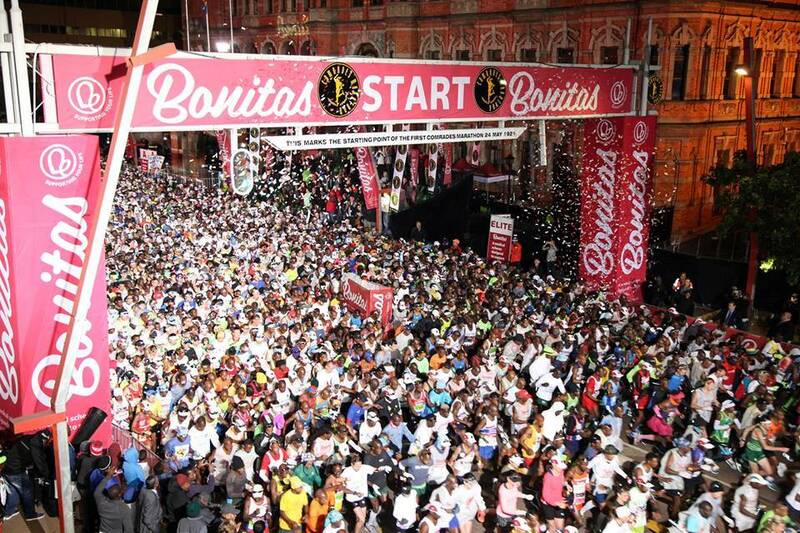 The Comrades is called a marathon but it is actually an ultramarathon of 89 kilometers. How did Comrades become such a big fascination in South Africa? We have a city marathon – the Cape Town Marathon, which is at the same level of certification as the Mumbai Marathon. It happens in September. But it is not the same as Comrades. We also have another race, which is nearly as famous called Two Oceans. That is also in Cape Town, 56k, held in April. Comrades will turn 100 years old soon. That will be a bumper year. I really believe that sporting isolation (experienced during South Africa’s apartheid years) made us look inward. When you get banned, you start looking inward at what you have got. We were passionate about cricket and rugby. In cricket, if you have a series against India now, the stadiums would be packed. But those days (when the sporting isolation was on), this sort of things wouldn’t have happened; we would never have played India, India wouldn’t have come. So, inter-provincial games, interstate games – they became huge. Those games – home and away – would be packed. It was similar in rugby. Comrades, partly, had the same trend. What was unique about Comrades was that –people with nothing to do on that day would wake up and watch. And then what happened is – the event progressed to live television coverage. It is 12 hours of live telecast. The winners finish in five and half hours; the winning ladies finish in six hours and yet people sit glued to the television for another six hours and all they are watching is people walking! They watch because they have a loved one in there, they have a friend or they have run it before. And then on the sides of the road you have a huge number of spectators. The sporting press also contributed, speculating on who might win an edition. In the early 1980s, which was when the event began growing, there were some characters. These characters (they were participating runners) made the race seem like theatre. The race also had traditions. One is – it changes direction every year between the two cities. When you have run the race ten times, they retire your number and give it to you – so my number is 2403 and nobody else can run in that number. My number is colored green, which identifies you as a person who has done ten Comrades or more. The route is very famous. For instance along the way you pass the Wall of Honor, which is an embankment with shields on it. All these things combined have made the event magical. The Internet has this video of you at Comrades from the year you won it for the first time – you are seen running with a black band on your arm. How was that experience for you? Terrible! 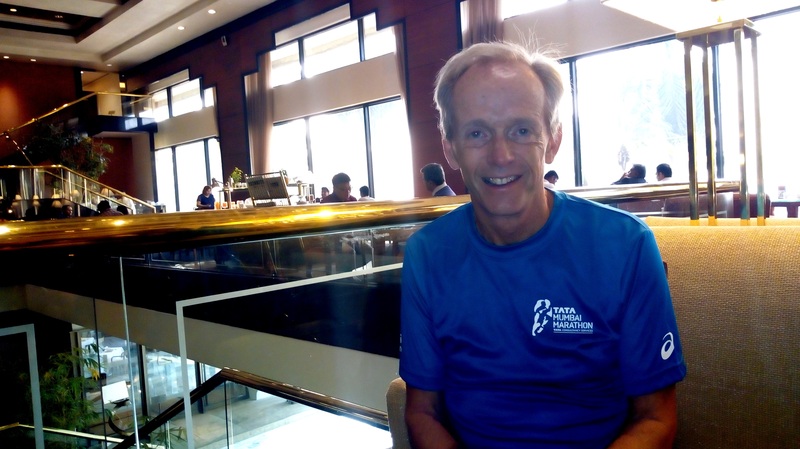 The first time I ran Comrades I was 43rd, then I finished 14th, then third, then second – I can tell you: third is wonderful, when you are third in a marathon you can’t believe it; second is bitter, you know you could have won and first is first obviously. I had come second and I really knew I could win it. The following year, a month before the race, Comrades to its shame, allowed itself to be part of the nationalist government’s celebration of twenty years of apartheid rule. It was called republic day. They had fly pasts and tank parades – all those kind of things you see fascist countries doing. It was horrific. Politicians gave speeches about how wonderful South Africa was when actually most of our population was second class citizens. Because of the regime, those of us who loved sport had been completely isolated by the world. A lot of people withdrew from that edition of Comrades. Some of us said – let’s not withdraw but show our disagreement by wearing black arm bands. We got harassed by the security police for doing so. On the day of the race, people were throwing tomatoes and eggs at me; there was a lot of booing. I won the race. I broke the course record. But I was a very unpopular winner. In retrospect, Nelson Mandela and some of those who were being held as political prisoners on Robben Island said they were amazed. They watched! Sixteen years later, in 1997, I got an award from Mandela and that was definitely because of the race with arm band. So I was originally an unpopular winner. But then as we all know – the public love a winner. You win again, then again, and they start forgetting they were booing you. It wasn’t difficult for you getting back to the race after that experience? The next year, I was harassed a little bit here and there. People shouted: where is your arm band this year Fordyce? I always used to reply: it is right here, in my heart. Besides I wasn’t the only one with an arm band the year before. I was the most prominent because I won. There were a lot of people throughout the field who were protesting and some of them had a very hard time from other runners. I was alone in front. Some of the others were being asked: what are you doing? Are you a Communist? Don’t you love your country? 1981 was a sad year for Comrades. You have run Comrades 30 times. You have seen the race changing through the years. What are the changes you have noticed? Are you happy with all the changes? I am pretty happy with most of the changes. The biggest change is the prize money. I got no money in my day. Now there is substantial prize money. The unfortunate thing with prize money is that it has definitely led to cheating. There have been drug (related) failures. There are some performances that you have to be suspicious of. One shudders to pick on any country – but Russia…. The size of the race has grown. My first race had around 1200 people I think, the second was 1500 – it grew rapidly with the running boom that was sweeping the world. Now it is 25,000. The race gets sold out in 2-3 days. There is a problem with Comrades in that a part of our population does not have access to Internet. They still post their entry forms. But the event is already sold out. An entry form posted from a remote place will take a week to be received. But if you are in Johannesberg, you wait for the clock to strike midnight and then tap enter. Even the Americans say it is tough for them because they are several hours behind us. 1975 was the first year that Comrades allowed women and black runners to participate. Until then, it was exclusively, an all-white male event. That has been a massive change. Now there are more and more black runners coming in and doing well. Also for me, what has been amazing are the ordinary runners at the back doing 11-12 hours, plus the growth in women runners – now there’s like 5000 women participating. There have been many Comrades winners from South Africa. There have been winners from Russia, Poland, UK, USA, Canada, Germany, New Zealand and Belarus too. Among other African countries only Zimbabwe has triumphed at the event. None of the African countries strongly associated with the marathon, feature on the list of Comrades winners. Why is that so? They are not coming for it. Haile Gebrselassie always threatened to finish his career with Comrades. But he hasn’t. The cost of winning Comrades, you know – it takes time to recover and it is a significant commitment in terms of training. I have no doubt they will come. But they haven’t yet. I have seen two Olympic medalists running Comrades. One was – Lisa Ondieki of Australia, who won silver in the marathon at the 1988 Olympic Games. She came to Comrades but by then she was past her peak. She said I am not here to race; I want to close my running career with a Comrades medal. The other was Yuko Arimori of Japan; she had the same attitude. It would be hard to get one of those runners who are at their best because at that stage, you can command huge appearance fee. There is no appearance fee at Comrades. You get prize money. But nobody is getting paid to run. Nowadays top runners going to high profile events get fat appearance fee and guaranteed bonuses; time bonus, position bonus. It would be foolish of them to come and run Comrades. At a generic level, as running becomes more and more commercialized, what are the changes you see, the ones that you agree with and the ones you don’t? In the early days, the running magazines that we got, the literature we had – magazines like Runner’s World, Track & Field Times, Athletics Weekly; those were full of serious running with results and stuff like that. On the cover was a photograph in black and white of whoever had just won Boston or set a world record. Now you find some model on the cover. It is not a picture of Bill Rogers wining Boston; it is a model and in many cases, you as runner know – that is not a runner. So that has changed. But what is great is that running has become accessible to the masses. There is no possible way in the 1970s that people would wait for six hours for somebody to finish. Today I saw people waiting for close to seven hours. So it’s got to the masses and that’s great. Before, it was amateur, more serious and more informative. Now it’s got hugely commercial. In 1981, the year you won Comrades for the first time, you ran with a black arm band. Placed second the previous year, you knew you could win and were running to win Comrades. Yet you made room for your conscience and registered your protest at a larger wrong prevailing in South Africa then. In today’s world of running – amid all the pressure caused by competition; technology, money and branding – do you think athletes will pause to notice such wrongs? Is the current ambiance dominated by the sheer drill of performance dehumanizing sport somewhere; rendering human perspective mechanical and insular? I think runners would show their displeasure at something contentious but perhaps race directors are careful about which political events they align to their events nowadays.